Energy security is one of the greatest challenges of the modern world. The situation is further complicated by the fact that energy security can be viewed from different points of view, which are often contradictory and with no consensus on what energy security is and how it is measured, monitored or foreseen. 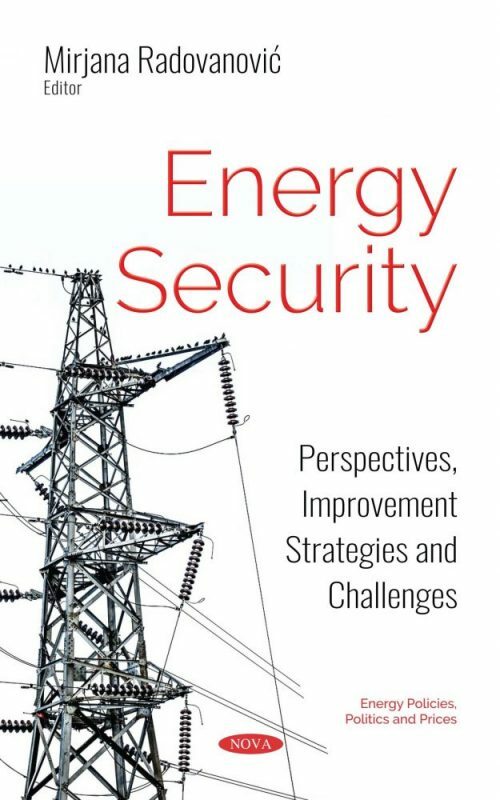 This book presents the most important aspects of energy security, including its role as an element of national security and a factor of geopolitical stability. Many factors affect energy security (and vice versa) in different ways. This book discusses the most important: the impact of political changes, military operations, organizations (EU and NATO), and social movements on energy security. Special emphasis is given to energy infrastructure, as one of the major preconditions that will – along with geopolitical changes – have the greatest impact on energy security in the future. The book presents energy security specificities and challenges in the case of EU countries, the Russian Federation, the United States and China. It also provides an example of small countries that do not have their own energy resources, and therefore need to ensure their secure energy and political future in a rapidly changing world. The book is primarily intended for the academic community, decision-makers, energy sector companies and security services around the world.